Shame is one of the most destructive of human emotions. If you’ve suffered childhood emotional, physical, or sexual abuse, you may experience such debilitating shame, self-criticism, and self-doubt that you are left feeling damaged or unlovable. In order to begin healing, it’s important for you to stop blaming yourself for the abuse – and for the ways you have reacted to it. 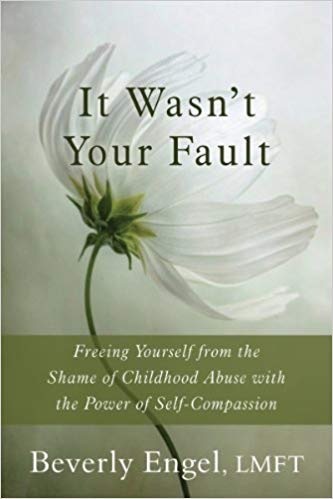 In this powerful book, therapist and childhood abuse recovery expert Beverly Engel present a breakthrough therapeutic program based on self-compassion to help heal your shame and begin seeing yourself in a more realistic and positive way. By following the step-by-step exercises in this book, you’ll learn how to cultivate understanding, forgiveness, acceptance, kindness, and encouragement toward yourself. If you are ready to focus on your strengths, your courage, and your extraordinary ability to survive, this book will help you finally replace feelings of shame with new feelings of pride.